A Taliban spokesperson confirmed on Thursday that the Islamist group’s leader Mullah Omar had succumbed to a long-time illness in the past two weeks, but provided few details. His statement appears to contradict the Afghanistan government’s belief that Omar died in a Pakistani hospital two years ago. Although the impact of Omar’s death on prospective talks with the US-backed government in Kabul is yet unclear, the Taliban have not held back in their annual offensive. 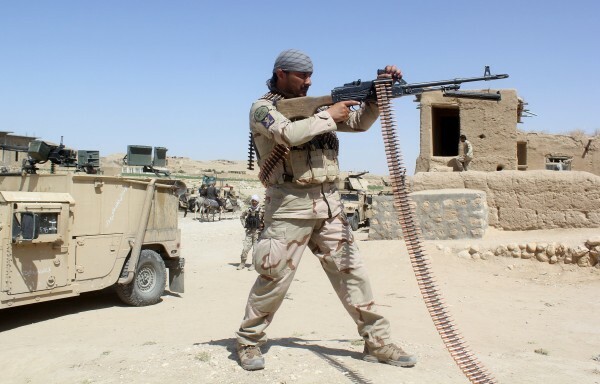 On Wednesday, Taliban forces overran Afghanistan military positions and captured the strategic Now Zad district in the southern province of Helmand. Fierce fighting raged in Helmand between 2002 and 2014, with territory exchanging hands between US-led coalition troops and Taliban fighters. On July 18, the Taliban also captured the Helmand town of Kajaki. The capture of territory in Helmand is a major setback for the government in Kabul which has struggled to consolidate its control of a number of provinces since British and international forces left the country. US forces have conducted a number of fighter jet sorties in support of the Afghan army. But on July 19, US helicopters engaged in a battle against Taliban forces mistakenly fired on and killed eight government soldiers in the Logar province, south of the capital Kabul. Last week, a suicide bomber targeting the military in the northwestern province of Faryab killed 19 people. In the meantime, the Taliban selected Omar’s deputy Mullah Akhtar Mohammad Mansour as the new leader of the group. A longtime Taliban senior figure, Mansour has been the defacto leader since Omar’s disappearance many years ago. The official change in leadership has also put on hold peace talks between the government and the Taliban.